A lot of developers these days are spending so much time with their terminal, that it became a vital tool in the development workflow. Since I use the terminal the whole day, I like to change it to my taste. There are a lot of things that you can change in the config file. You’re wondering how to change the settings? Open your ~/.hyperterm.js config file with your favorite editor. Just like all the editors we use, that has a lot of themes, Hyper also has a lot of themes. In this list, you find some cool ones! Star Wars Theme: Not that I would use it, but hé we are nerds, so Star Wars is a part of that! Solarized Dark theme: This theme is nice and clean and also used by many other editors. Monokai Deluxe theme: This theme is just like the Solarized used in many other editors. In my opinion 1 of the classics. 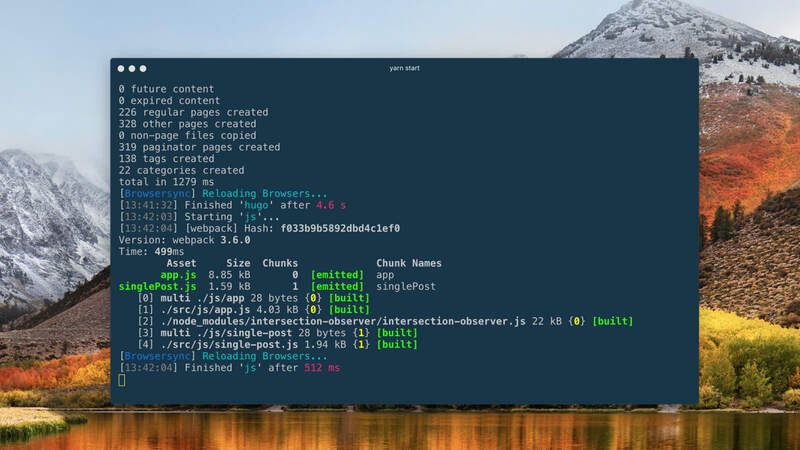 MacOS theme: If you’re using a Windows or Linux and like the MacOS style of terminal, this is your theme! Clean: This theme is just very clean with nice colors! Atom One Dark: This is one of the themes that is used in the Atom editor, if you like Atom, this is your theme! You can also find a massive list of plugins on the Awesome Hyper repo. But here are a few that I like the most! Hyperterm-1password: If you’re using the 1Password manager for storing all your credentials, this plugin will integrate that into your terminal. Hyperterm-history: Want to have a history present based on your command, add this awesome plugin! Hyperterm-visor: With this plugin, you can open your terminal from any finder with a short-cut.